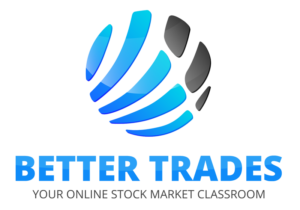 In order to learn how to put a stock market education to work by buying and selling stocks and options, a trader will need quality stock market software. 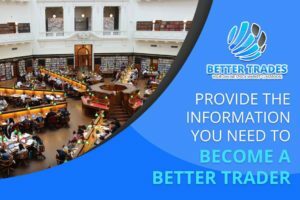 The BetterTrades products, which are available only through the BetterTrades company, offers the versatility and flexibility that can be helpful to those learning to trade the stock market. This stock market software comes with a top-level charting program, live streaming quotes, up-to-date information and news, and instruction from the premier coaches. Real Time Markets is the trading tool in the BetterTrades products line that provides up-to-the-second streaming data. It permits the student to keep current with the market and follow a better trade that may potentially develop. Among the benefits that comes with this stock market software is the ability to set alerts, which gives the user freedom to do other things while waiting for a stock to make a possible move. Once a target price is hit, a trader receives a text alert message to their cell phone or email to their computer, giving them a signal that it’s time to evaluate a trade. Extreme Charts is a piece of stock market software that permits the user to chart the trading opportunities that are being evaluated. Every educated trader knows the value of a quality charting program, which is vital to reading and interpreting potential stock movements. Extreme Charts enables the user seeking better trades to set up scans that search for specific criteria and create a watch list. The stock trading tool gives the user the option to look at indicators, which allows the trader to take a closer look at trends, which can potentially lead to a series of better trades. The Dedicate Trader is stock market software that allows a trader a multitude of options in route to finding better trades. The market research center points a BetterTrades student toward locating the option that best matches the criteria taught by the BetterTrades education. 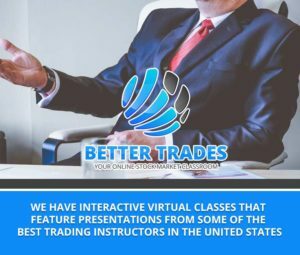 Two of the popular BetterTrades products are “Traders Forge” and “Trend Trading My Way,” a pair of two-day live on-location classes. Both classes are usually offered monthly at locations throughout the country. Students who make the effort to attend the classes learn more about how the stock market works. Both classes are also available in a DVD set, so a trader can learn how to make better trades in the comfort of their own home. Ben Lichtenfeld is the coach of the “Traders Forge” class. His path to better trades is structure. He trains students how to plan and prepare their trades at night when the stock market is closed. By removing the drama from the process, Ben shows BetterTrades students how it’s possible to think and act clearly. Graduates of this class who seek a higher level of making better trades are eligible to attend the “Advanced Traders Forge” class. Markus Latinak is the coach for “Trend Trading My Way,” which shows students how to use trading tools to potentially use indicators as entry and exit points for trades. The class shows how it is possible to take more profits, or exit with smaller losses, by making a better trade. The Wealth Preservation Kit is another educational product designed to help individuals understand the process of legal structuring. By operating a trading account as a business, instead of an individual, a person can potentially take advantage of numerous tax advantages not typically available to individuals. The Wealth Protection Kit takes a trader on an educational journey through the process of legal structuring. The Wealth Preservation Kit opens with three educational information videos dubbed “The ABCs of Asset Protection.” There are additional videos about forming and operating a limited partnership, forming and operating a corporation, and forming and operating a limited liability company. There are additional CDs that contain all the forms needed to complete the structuring process. There are a total of 13 DVDs and five CDs included in the Wealth Preservation Kit that are designed to provide a comprehensive overview of the subject and information on how the material can work well for BetterTrades students in their trading business.